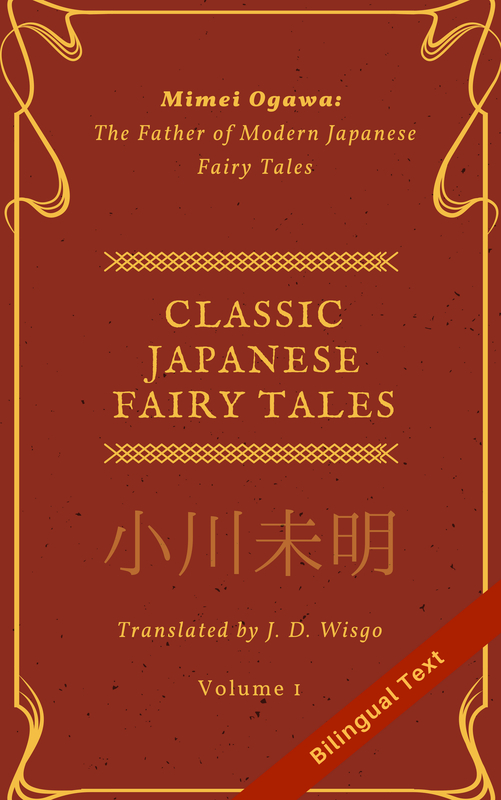 This is my translation of the second chapter of the second story “Starfollower” (星を辿る人) of the fantasy work “Final Days of Summer” (残夏) by Masaki Hashiba (ハシバ柾). I’ve gotten permission from the author to translate it and put it on my blog. The original work was published online not in chapters, but as one long entry with some breaks. While technically a separate story from the first story (“Stargazer”) it is strongly related, and if you haven’t read the previous story I highly recommend checking it out first. You can see all four chapters of it translated here. The first chapter of this second story and the future ones will also be linked there (as I translate them). You can see the second story’s original Japanese in its entirety here. If you want to read more of this story, please consider voting for it on my poll of what to translate. Weaving between colorful bunches of coral and sea anemones, a school of silver-scaled fish–souls waiting for their chance to return to earth once more–swim leisurely in the ocean. Each emits a flickering white glow, illuminating the sand wherever they go. The intensity of the light varies from fish to fish, but the net effect lends a soothing tone to the ocean floor that resembles a shoal. It is bright enough to fool one into believing the unique varieties of coral there, which typically never inhabit the cold, dark depths of the ocean, are completely normal. Of course, the rules here are probably quite different than those of Earth. At the whale’s side, the dolphin makes a few soft clicks as he gazes into the deep sea. But there is no response. It seems that some things here may not be as they appear. Just as his eyes are beginning to glaze over watching a school of fish, the dolphin quickly kicks with his tail fin. If he isn’t careful, the dolphin will slowly slip into unconsciousness. The sensation of falling into a deep sleep feels just like when he first arrived here. After saying this with a concerned expression, the whale bares his teeth in a wide smile. A rainbow of colored lights dribble from his mouth. No matter how shameful of a life you have lived, Mother Moon will never turn her back on you. That’s because she is the mother of all life in the universe. The dolphin glances at the whale’s pompous face and stops moving. He is beginning to worry that the whale might actually be mocking what happened with Naoyuki and him. The talkative whale, on the other hand, seems to only care about praising their mother as he lazily swims through glittering schools of fish, unaware that the dolphin has stopped flapping his tail fin. There is no telling how the whale, with his apparent dislike of humans, would respond if the dolphin suddenly said, “I want to return to Earth to keep a promise with a human.” He surely wouldn’t be too happy to hear that. Nor would he likely continue offering his help. It seems safer to avoid talking about that and just hang out with the whale to pass time. The whale, having babbled on by himself for quite a while, now looks behind him at the dolphin as if suddenly remembering something. He stares at him fixedly, narrowing his eyes like he is sizing him up. It is not uncommon for some beings, unable to forget about something in their past life, to be unwilling to give themselves completely to Mother Moon due to a lingering attachment. When coming across such a soul, unable to enjoy the repose obtained after crossing stormy seas to finally reach its rightful destination, it can only be called a tragedy. At this moment a soul, yearning deeply to escape the confines of a paradise at the other end of the universe and return to Earth, poses a certain question to himself for the first time. Can it really be said that I–having died, yet still possessed by things from my past life–am truly unfortunate? The whale raises his voice in delight, indicating something in front of them. There swims a school of fish, the smallest the dolphin has seen since arriving here. They huddle together closely, trying to compensate for their faint glow. Still, they would be practically invisible if placed next to the brilliance of the whale or any other souls. The whale chuckles as he exhales water towards the school of fish. The tiny fish are immediately swept away by the current and scatter in all directions. Watching the once-human souls animatedly reform their group, the dolphin carefully considers the whale’s words. He had once heard that humans fear things they can’t see with their own eyes. Similarly, humans don’t want to believe in anything they can’t touch with their own hands. To them, the extraordinary story of a ocean at the far reaches of the universe must be extremely hard to believe. Even assuming it is true, something which cannot be seen, cannot be touched, is effectively the same thing as if it didn’t exist at all–it is this belief of the humans that many other life forms consider arrogant. However, the dolphins, who have handed down their stories for many generations, have a different view. They are clever, frequently rising out of the seas disguised as humans, telling stories of the distant ocean to everyone they come across. Of course, many people label them as charlatans, refusing to lend a ear to their tales. But the dolphins still haven’t given up. At the end of the universe is an ocean, where the brilliant stars in our sky are actually the souls of the deceased that will eventually return to Earth in the form of shells. Out of pity for the sadly ignorant humans–or perhaps because the dolphins feel some sense of kinship to them–even though they may not know why, these torch bearers of the universal ocean continue to preach their truth to humans. For this very reason, this dolphin knows that humans are such a diverse species it is hard to make generalizations about them. He also knows that people exist who will listen to the truth and gaze up together into the heavens with them. Unable to bear it any longer, he looks intently at the school of fish, their weak radiance having little chance of being seen from the Earth. Glaring at the dolphin’s face from the side, the whale suddenly raises his voice. But the voice of the concerned whale has no chance of getting through to the dolphin. His head is filled with memories of a starry sky viewed together with a certain human. The dolphin looks up at the distant surface of the water and closes his eyes. The whale’s tone is cold and unfeeling, a drastic change from just a moment ago. His piercing stare digs deep into the dolphin–or rather the thing that torments him. The tail of the whale strikes the ground in irritation, kicking up a cloud of sand. As he watches the whale, the dolphin suddenly has a revelation about the true essence of this place at the end of the universe. In this sea of tranquility, all are welcomed with open arms. But this acceptance is founded on renouncement of the self and a law that discriminates based on past life behavior, and perhaps even species. It is this unyielding rule, which selfless souls can never oppose, that maintains tranquility here. The guardian who provides solace and light to all beings in this place–the Moon. Many of the fortunate souls that drift around the ocean floor blindly revere the Moon as their mother without realizing what they have given in exchange for their repose. But the dolphin knows what has been lost and the real reason the Moon is called ‘Mother’. The whale falls silent at the dolphin’s sudden question. After staring at the dolphin for a moment, as if searching for something, he finally responds, albeit resignedly. The whale’s words falter. He looks around nervously and then back at the dolphin, seemingly on the verge of panic. For once, he feels not the moon’s all-pervading presence or even her comforting smell, only a terrible sensation of cold water chilling him to the bone. The dolphin gazes fixedly at the frightened whale and begins to speak. Wonder how the Whale’s going to react to the dolphin who seems tk be questioning his belief. Yeah, definitely an interesting cliff hanger, one intended by the original author since immediately after this is “…” signifying a major pause. Ironically, in Japanese the cliffhanger is even bigger since it literally amounts to “As for the Lady Moon…” because of word order and grammar differences.